“I was recently in Europe on vacation, and had taken Lufthansa First Class on the outbound, with a layover in the excellent Lufthansa First Class Terminal in Frankfurt. As my final destination was Denmark, I flew back to NYC from Copenhagen. 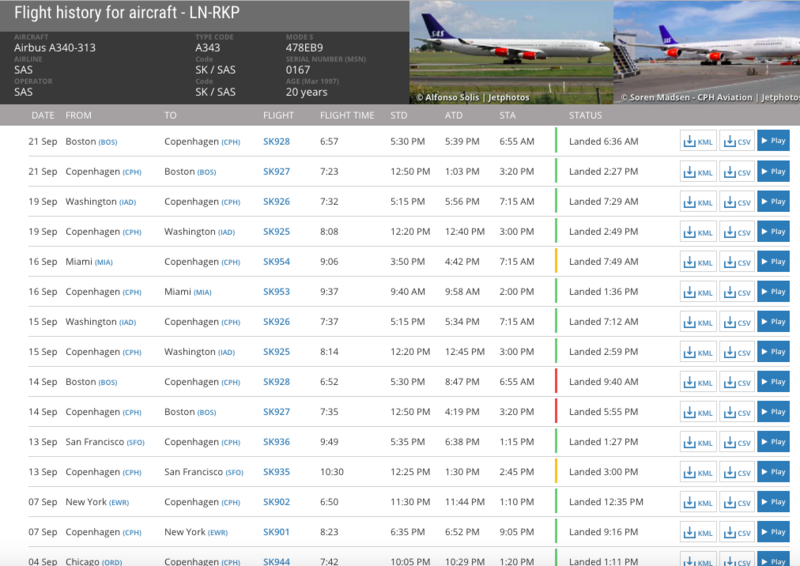 SAS offers a nonstop from Copenhagen to Newark EWR, and, while not Lufthansa First Class, I was looking forward to trying out SAS Business Class, which I understand debuted 2015 and is supposed to be on all aircraft. The seat configuration is four across, solo window seats, two in the middle, and solo window seats, and I purposely chose seat 2H, near the window, for extra privacy, since it's one of the window seats closest to the window rather than the aisle. These are also billed as fully flat bed seats. I was looking forward to one of the most modern business class seats given how recently SAS introduced these seats. This SAS plane is LN-RKP, and as Victor noted, it's unlike SAS New Business Class A340 in key aspects. Instead of four seats across in a 1-2-1 configuration, it has 6 seats across, in a 2-2-2 configuration, so window seats do NOT have direct aisle access, and face the awkward prospect of stepping over a seatmate if s/he is reclining or sleeping. 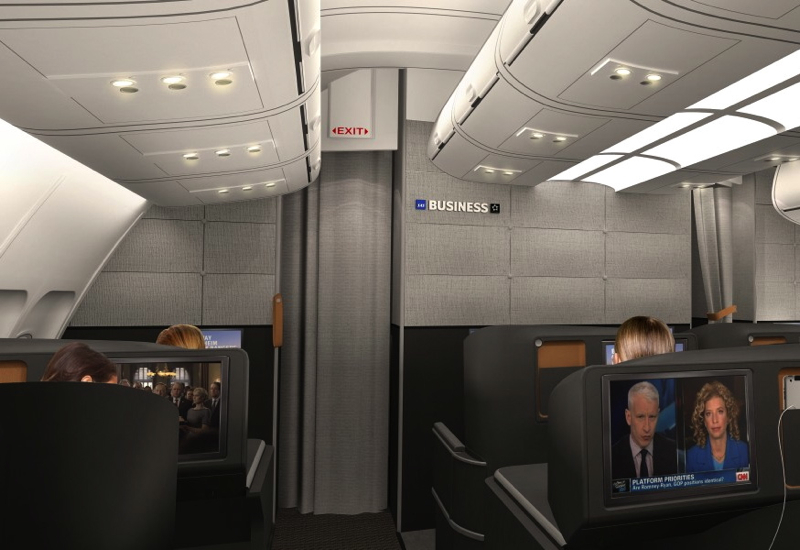 The seats are fully flat but are not staggered the way the new SAS business class is. Why is this plane different? SAS initially leased this old LAN Airbus 340 back in 2014, to give them some spare capacity, then subsequently acquired it in 2016, but did not update it to have the new business class, so it still has the old LAN Business Class interior, including its old seats, old IFE system (which basically has stopped working, forcing flight attendants to hand out tablets instead), and no WiFi capabilities. SAS should really come clean about this, given how different the product is from its new business class. Have you flown this product? 7 Comments on "Dear SAS: Update or Get Rid of LN-RKP Old Business Class"
For what it’s worth, I just flew on this plane from Chicago-Copenhagen on 3/14/18 and the seats were fully flat seats. Maybe they’ve made some slight upgrades to business class on LN-RKP recently. However, everything else was just as sub-standard; for example, the IFE’s didn’t work at all and they had to hand out iPads to use. Matthew, sorry that you had to encounter LN-RKP twice, that’s truly a shame you didn’t get at least one of your flights in the new SAS Business Class. I couldn’t agree more that this plane should be taken out of service. It’s very disingenuous of the airline to claim that this plane is just pressed into service occasionally, when it flies almost daily. And sadly I see that recently many of its flights have been to or from Chicago ORD: 10 of the 11 most recent, not counting today’s flight to PEK. Wife and I had this plane CPH-EWR last month. Was concerned that I paid for business class tix w/United Miles (70k*2), and thought I was screwed. Dropped a note to SAS, and was refunded 75k United miles within 24 hrs. So I really can’t complain in that we got (albeit substandard) business class seats on a long haul flight for just a bit more than coach. Larry, thanks for sharing that your complaint to SAS resulted in a refund of 75,000 United miles for the two of you. At least SAS has tacitly acknowledged the inferior nature of this product and that you shouldn’t have to spend the same number of miles for it as for real SAS business class. Perhaps others will see your comment and also be able to receive a partial refund of miles for an award booking, if they end up on LN-RKP.